View From India - The U.S. military campaign in Afghanistan, as seen by Muslims living in India. FRED DE SAM LAZARO: It's become a familiar sight across the Muslim world. MAN ON STREET: Osama bin Laden was a creation of America. Now he has turned against them, and they are crying. I think the whole thing is against Islam. FRED DE SAM LAZARO: This demonstration was in Delhi, one of several held across India. India was an early supporter of the US antiterrorism campaign, a secular democracy, a non-Islamic nation with a substantial Islamic population. In numbers, India is one of the largest Muslim countries in the world. At 130 million, it's second only to Indonesia. More Muslims live here than in the entire Arab world. Many Indian Muslim leaders insist this fiery rhetoric reflects only a small minority of their community. Many Muslims, by choice or circumstance, remained in India in 1947, when the departing British partitioned it into two nations. These Muslims committed themselves to a secular nation instead of the new Islamic republic of Pakistan, according to Salman Khurshid, an opposition Congress Party leader. FRED DE SAM LAZARO: Meaning go to Pakistan at the partition. SALMAN KHURSHID: Go to Pakistan. If they've decided to stay here, it means they're liberal. It means that they want a secular country. It means they want a country that is not dominated by religion. FRED DE SAM LAZARO: The fact that they are outnumbered six to one by Hindus may also influence Muslim politics. Author Kuldip Nayyar adds India's Muslim population is also diffuse, spread across the country. KULDIP NAYYAR: Diffuse, spread out, and also the attitude is not that fundamentalist, because, after all, you are living in a different kind of society. You're not living in an Islamic state. You are living in a state, which is non-Islamic, which is democratic, which is republic, and so your attitude cannot be the one which is prevalent in a purely Islamic state. Their mullahs do go and ferment that kind of idea, but it doesn't germinate. FRED DE SAM LAZARO: But moderate Islamic leaders complain these demonstrations hurt the often delicate Hindu-Muslim relations. Tensions have risen in recent years with the rise of Hindu nationalist parties, some allied with the ruling BJP Government. The nationalists want a more Hindu, less secular India. The fundamentalist Islamic demonstrations play into the extremists' hands, making life difficult for moderates, according to Khurshid. SALMAN KHURSHID: We get rapped from the majority saying, "This is what your Muslims are saying." If we come to their defense, we become targets ourselves. If we don't defend them, we become alienated from our community. They're destroying the basic links between the majority and the minority by taking these extreme positions, positions in which they cannot achieve anything. I mean, if they want to do that, they should just get together and go to Afghanistan and fight the Americans. They only make speeches in the streets of Delhi. FRED DE SAM LAZARO: Many Indians see the U.S.-led war on terrorism as a vindication of India's long-held position: Two prime ministers have been assassinated and tens of thousands of Indians lives lost in various separatist conflicts -- actions India labels as terrorism. KULDIP NAYYAR: I only hope that after this dust has settled down that they will see that you care, that terrorism, if it is allowed to breed in one country at one place is going to spread out. And this fundamentalism of any kind, of any religion-- whether it is Hindu, Muslim, Christian, Jew, everything-- that's not the thing, because it does not fit in a democracy. FRED DE SAM LAZARO: Terrorism incidents on the subcontinent have not ceased since September 11. On October 1, 38 people died in a suicide bombing at the legislative assembly in Srinagar, capital of the disputed region of Kashmir, claimed by both India and Pakistan. A Pakistan-based group was implicated in the blast. The US urged India not to respond militarily, but last week, Indian forces attacked Pakistani positions across the Kashmir line of control. Muslim leader Khurshid says India resents being asked to stand by helplessly. 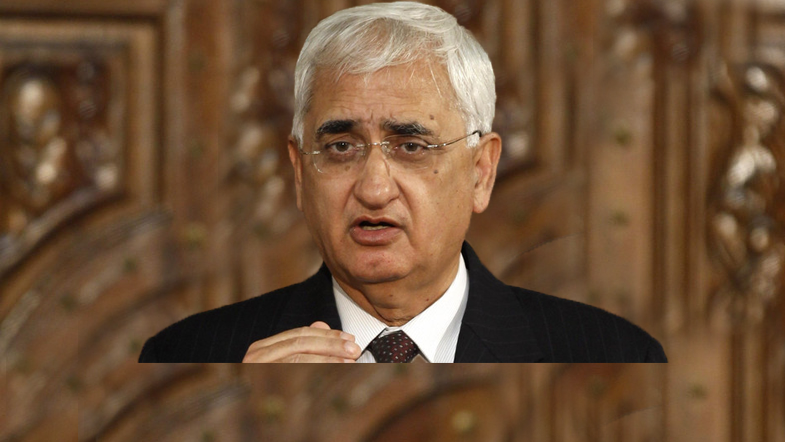 SALMAN KHURSHID: Somebody walks into your living room, you're told not beyond the doorstep. You can drive them out, but not beyond the doorstep. And when the US is hit, it will cross seven seas to hit the enemy. And why these double standards? Why the double standards? We are perturbed about Pakistan harboring terrorists who would hit India. You know, everybody wants Osama. Nobody wants the people who have inflicted pain and injury to us. They are in Pakistan, they are in Sri Lanka, they are sitting in other places, and nobody is talking about them. FRED DE SAM LAZARO: Ultimately, many here say the course and length of the American-led war on terrorism will determine if pro- Taliban rallies remain relatively small, or whether they grow into a louder anti-American chorus in an India frustrated that the global war on terrorism doesn't target groups it has fingered as terrorists.